Leading Manufacturer of telesis tmm5100/470 pinstamp multiple pin marking system and telesis tmp 7000 special purpose pin marking machines from Mumbai. Since our foundation, we are engaged in presenting an outstanding quality array of Telesis TMM5100/470 PINSTAMP Multiple Pin Marking System. The provided markers give tight grip and stay impact resistance when closed. Also, the offered markers are used in packaging & pharmaceuticals, carbon & blister pack marking, and collapsible tubes of ointment. In addition, the optimum finish and a variety of levels make the markers a perfect instrument for industrial application. Additionally, clients can get the markers from us in bulk quantity at cost effective rates. PC-Based Pattern Back-up Utility available FREE from. 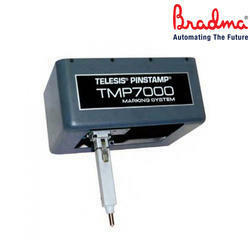 We are the prominent organization of this domain engaged in offering a wide spectrum of Telesis TMP 7000 Special Purpose Pin Marking Machines. 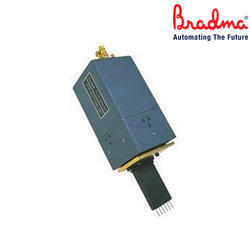 These markers are fully programmable pin stamp that has single and multiple-pin markers. It is based on Telesis original. Also, the markers have a patented design and pneumatically driven and returned metal pin permanently indents. The provided markers have marking surface with either dot matrix or continuous line characters.